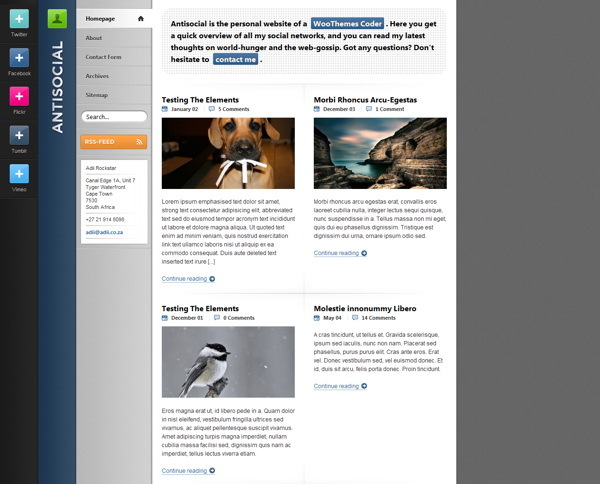 This theme has been developed to cater for directory-based wordpress sites. For example, a guide to a city with shops, restaurants and other places of interest all archived in posts with geo-tags, custom content about the locations, and well presented in this killer theme designed by Sam Brown. 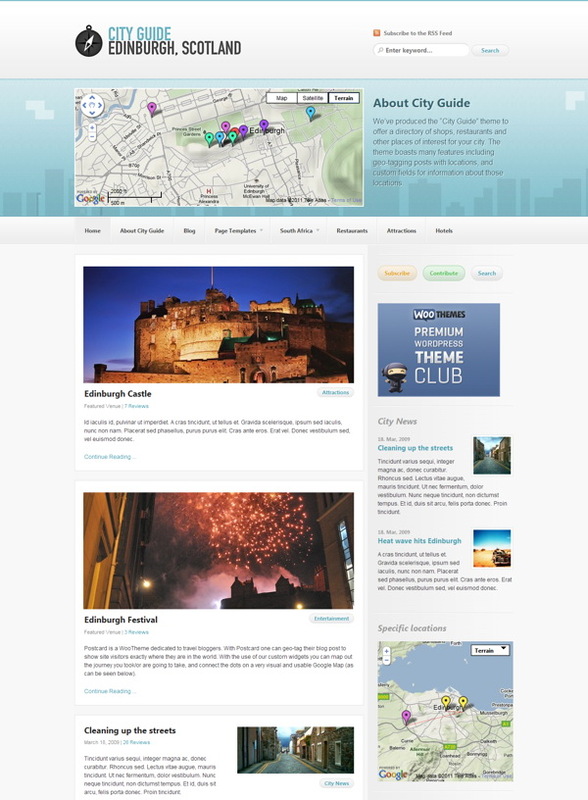 The theme has a custom home page featured module that can be used as an about section for the site, so you can dedicate an image or a Google Map to this area. There is also a Google Maps integration for geo-tagging of posts, with a custom map panel for your blog post editor and map widgets for usage in the sidebar. The integration also pulls the location from the map and displays the physical address next to the map in the location details. You also get some custom woo widgets for use in the 6 widgetized zones – e.g. Twitter feeds, Popular post tabber, Adspace banners, and Flickr photo streams. There are also 6 alternate styles available for you to choose from in order to better fit your company/personality. These alternate styles are meant as a base for further more intricate styling details that you can add to the stylesheet.